I founded my resume writing company, The Writing Guru, in June 2010, and it wasn’t until 2014 when I got serious about my business and considered leaving the practice of law that I started obtaining client reviews and testimonials on third-party sites. Over the course of the past 5 years, I have received more than 100 reviews (all 5-star) collectively from third-party sites. Candidly, I am not very good about getting them. I don’t send out a client survey at the end of my projects, and I don’t pay services like Trustpilot to obtain reviews from clients to help bolster my ratings. Many times, a client “review” will come in the form of a referral of a friend, family member, or colleague. That is how my clients show appreciation. Further, the majority of my clients are in the 1% earning bracket and they will shy away from writing a public review simply because they are public figures themselves and do not want to openly advertise to their competition that they hired me. This begs the question: if you’re a consumer or a job seeker, how do you analyze client reviews? In understanding how important brand reputation management is, I want to take you through the steps to determine the strength of client reviews and feedback. Client reviews can make or break a business. It’s important when looking at reviews of resume writers to do your due diligence and homework. Make sure they are legitimate and truthful – whether they are a 1-star review or a 5-star review. I have always been one to review the company and back-check its reviewer to see if the reviews match up and appear out of the sorts. Part of that has to do with my legal background and skeptical mindset. In the resume and coaching industry, it’s easy to Google reviewers and see if their LinkedIn credentials add up and if they in fact would have written this type of review. I have learned through my own dealings with a competitor who wrote fake reviews about myself that I realized a resume services company can also be writing fake 5-star reviews deceptively marketed as positive reviews. I’ve included some items that you should be cautious of if you see the company doing. This is based on my first-hand experience in my own brand reputation management that I have had to combat after dealing with fake reviews from a resume competitor. Employees and subcontractors are self-reviewing the company. Google the names and determine if there is a pre-existing relationship. If employees or business associates are self-reviewing the resume writing services company to bolster rankings or engagement pod members (who have never been a client/customer of the business) are writing recommendations, this violates Federal Trade Commission (FTC) guidelines and should be reported. There’s an exceedingly high proportion of reviews to the years in business/collecting reviews. If a company was established just 2 years ago, incurring 100+ reviews in 2 years should send red flags to any consumer, especially if they are claiming to be an executive resume writing company. The job stats and career profile of the reviewer does not match up with their LinkedIn profile. I have seen situations where companies are impersonating professionals and other high-profile individuals and stealing their identity to bolster the company’s rankings with fake 5-star reviews. The other thing to consider is if the reviewer is writing a review claiming they are an EVP of FinTech, but their LinkedIn profile shows they have never been an EVP of FinTech (and their background shows no FinTech experience), this is clearly fake and should be reported immediately. Not to mention, it again violates FTC guidelines. Time-frame of reviews. Chances are, most service-based start-ups and newly established businesses are not getting loads of reviews on a daily basis. If they are, approach with caution as these may be fake or pay-to-play. Advertising reviews and reports by the Better Business Bureau. Recently, the Better Business Bureau censured a resume services company that was advertising unverified and untruthful reviews from clients. According to the review, the company was deceptively and falsely disparaging competitors in articles. This is actually the same company that was targeting me and other resume competitors with fake reviews and divert our Google traffic. Important to note: consider reaching out to former customers or clients of the writer to substantiate their work process and product. Don’t be afraid to ask for a reference from a former customer. 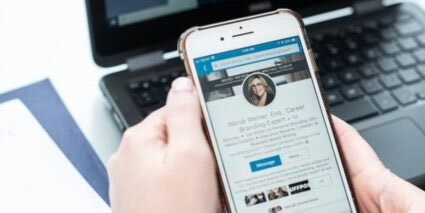 This entry was posted in Uncategorized and tagged brand reputation management, fake reviews from resume competitor, identify fake reviews, resume writer fake reviews, the writing guru reviews, wendi weiner attorney resume writer, Wendi Weiner Reviews. Bookmark the permalink.